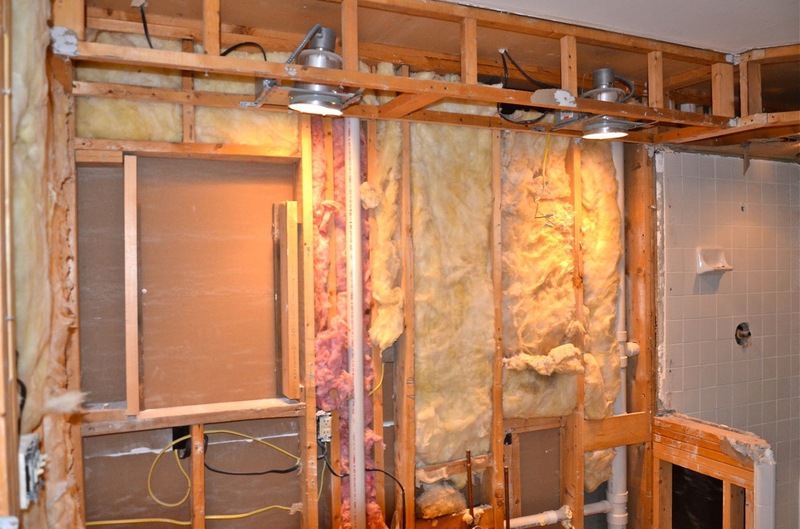 The day has finally arrived—demolition of the Master bath and closet has begun! 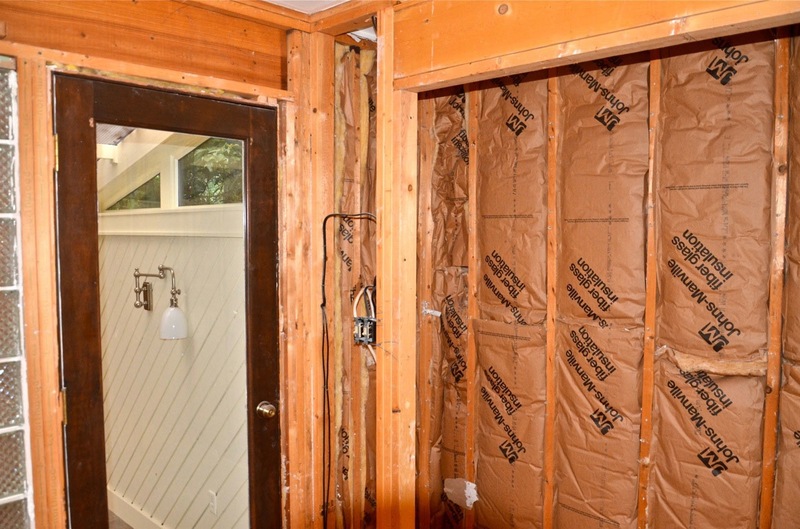 For you new readers, this is phase two of my whole house renovation here in Cashiers, N.C.. 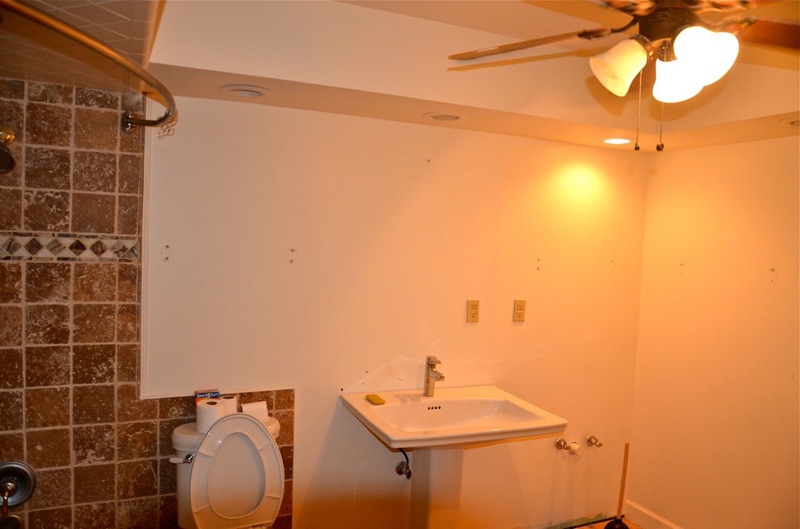 The budget changed drastically when I decided to keep this house for my own and the scale of the bathroom grew. 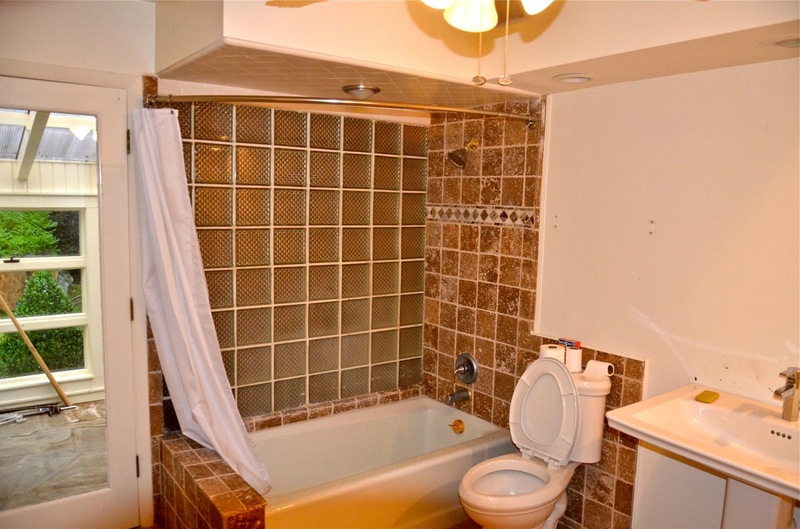 The crazy thing is that we actually had two master bathrooms, back to back, and no closet … I mean, what’s a girl to do with her clothes—in my case shoes and purses! My friend Aidan says I have a real purse problem, but that is another story for later. 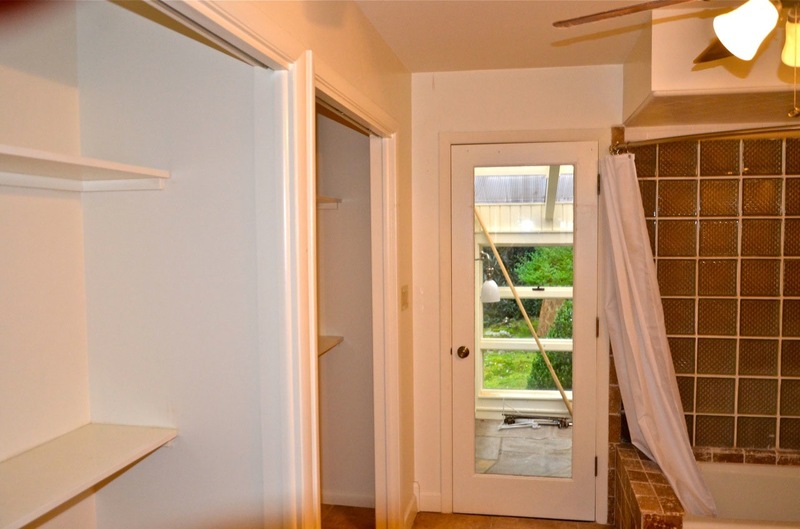 The smaller bath was just begging to be the temporary closet because all of the toilets, vanities, shower heads and even a bidet had been ripped out by the previous owner— so, out went the shelves and in went wooden bars for hanging clothes. 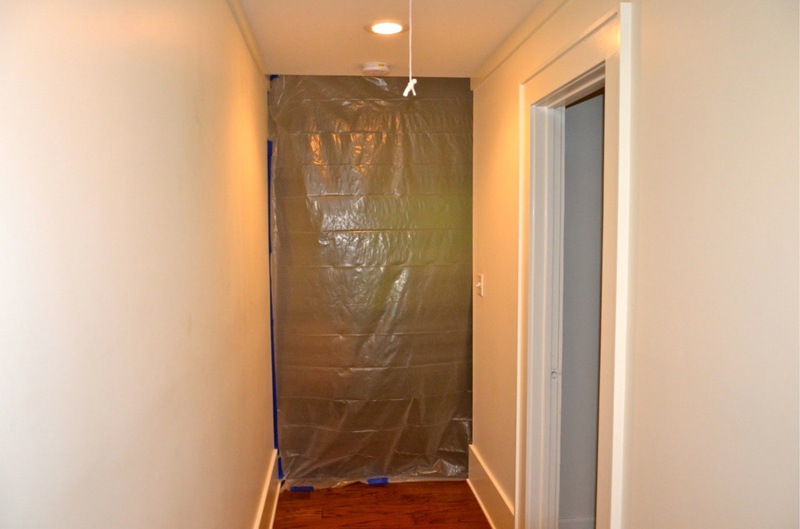 With this new renovation there will only be one door to the bathroom and closet. 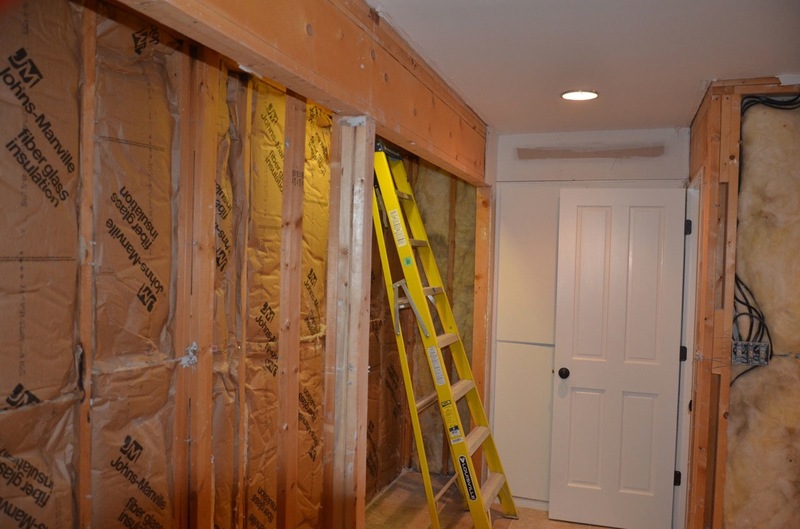 The closet will be entered first and will connect with the new master bath in the front of the house. This will do away with doors behind doors and the constant checking to make no one, or dog, is being slammed into the door. The orangery will also be getting a face lift. The old windows never quite worked right, so new ones will be installed. Here is a look at all of the fun happening around here. I always love following your projects! Please keep us posted on the progress. Melissa, The fun is just beginning! How exciting! The steam shower sounds wonderful. Are you doing a tub also? I know it will be beautiful when its done. Cathy, we are doing a 6 foot bubble soaking tub! That bath desperately needs the Lissie touch! It is getting the ‘sledge hammer’ touch right now. 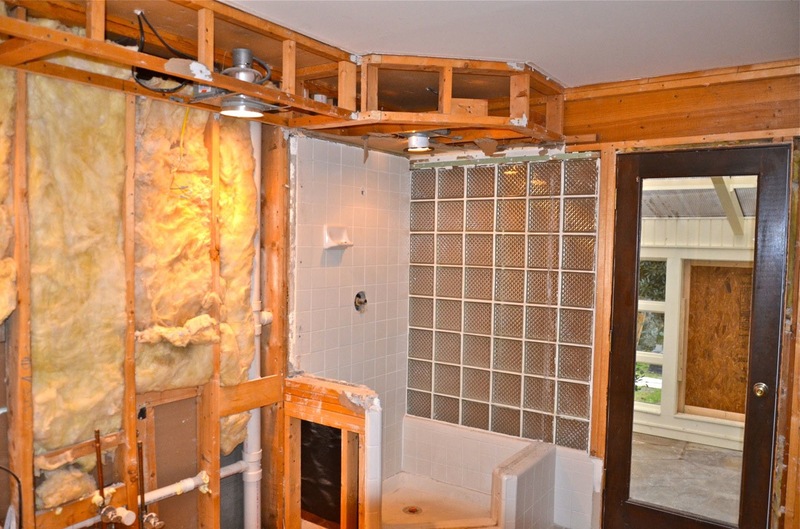 Worst bathroom ever!